Enter the new server URL that you would like to add and select Test Connection. Enter your server URL and credentials. 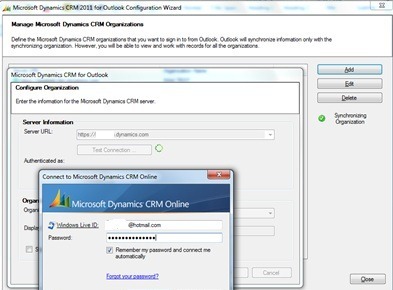 I am using a CRM Online server URL for this example so I entered the CRM Online server URL and my Live ID login and password. 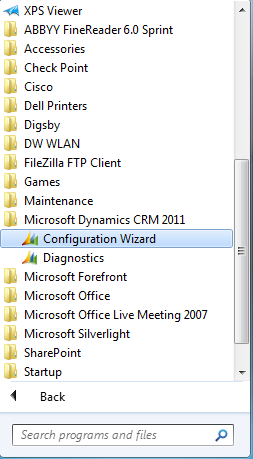 Select Ok and the Organization Name will populated. 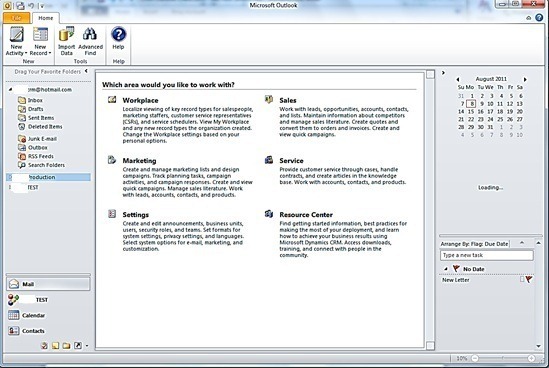 Give the Organization a new Display name that will help you understand which CRM Organization it is and select the Synchronize with this Organization if you want the CRM Outlook Client to use this Organization as the one to synchronize CRM Outlook related data (e-mail, tasks, appointments, Contacts, etc.). If no, leave the box unchecked and select Ok and Close. 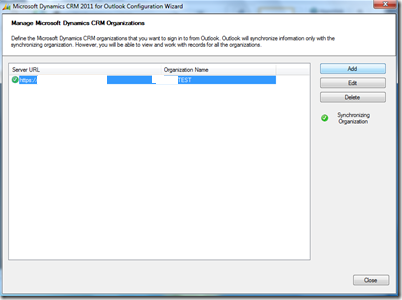 At this point, the CRM Outlook Client will Initialize the new Organization and you will see the new Organization listed in your left navigation menu folders when you start Outlook. Previous Post: View Layout Replicator – Oh Ya!